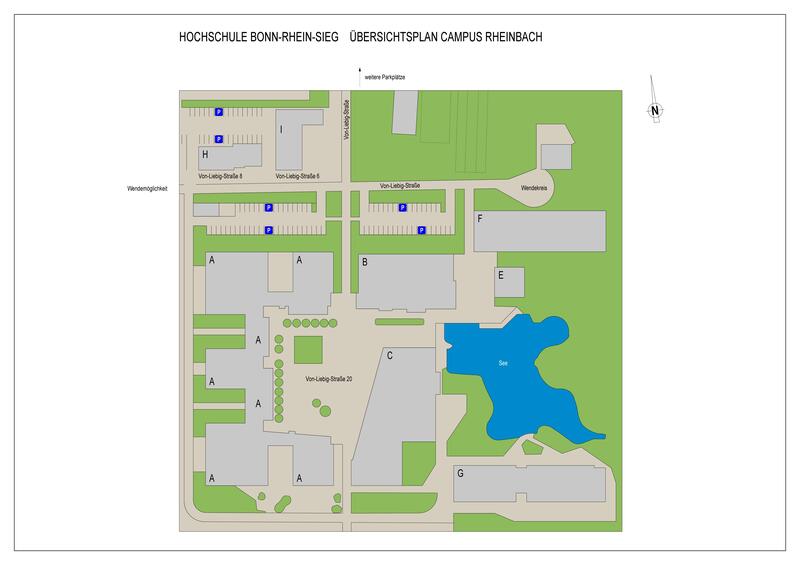 The Rheinbach Campus, with the Departments of Management Sciences and Natural Sciences, comprises around 2,400 students. More statistics about Hochschule Bonn-Rhein-Sieg University of Applied Sciences can be found here. For 3 weekends before the date of the first examination and throughout the examination period, the university will be staying open for students on Saturdays until 10 pm and Sundays from 10 am to 6 pm. The Centre for Entrepreneurship, Innovation and SMEs (CENTIM) and the Institute for Detection Technologies (IDT) are based in von Liebig Strasse. Among other things, CENTIM's role is to develop measures for promoting innovation in the region. The IDT deals, among other things, with projects such as the rapid identification of explosives or improving safety in passenger shipping.